I've never quite considered the food establishments at Fullerton Hotel to be worth checking out. I've had a weekend tea there once and that left me pretty much unimpressed. But that changed with the Jade Restaurant which recently underwent a gorgeous facelift in terms of aesthetics and culinary direction. 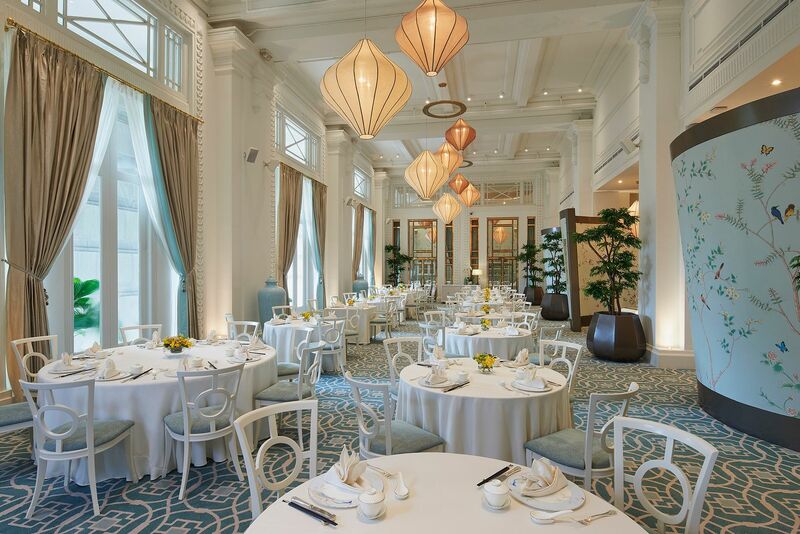 Diners may now sample a menu that takes inspiration from the Tang Dynasty in an elegant Tiffany blue and white setting. First timers to Jade Restaurant have it easy when it comes to placing your orders. 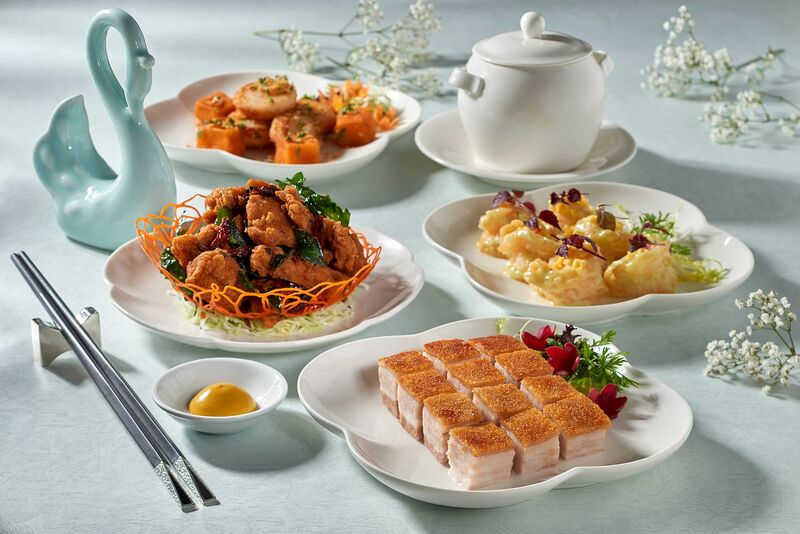 The restaurant has curated a menu highlighting Jade's 'Eight Signature Dishes' which includes must-try items like the Crispy Roasted Pork Belly, Deep-fried Prawn with Wasabi Mayonnaise and Sautéed Diced Beef Tenderloin. 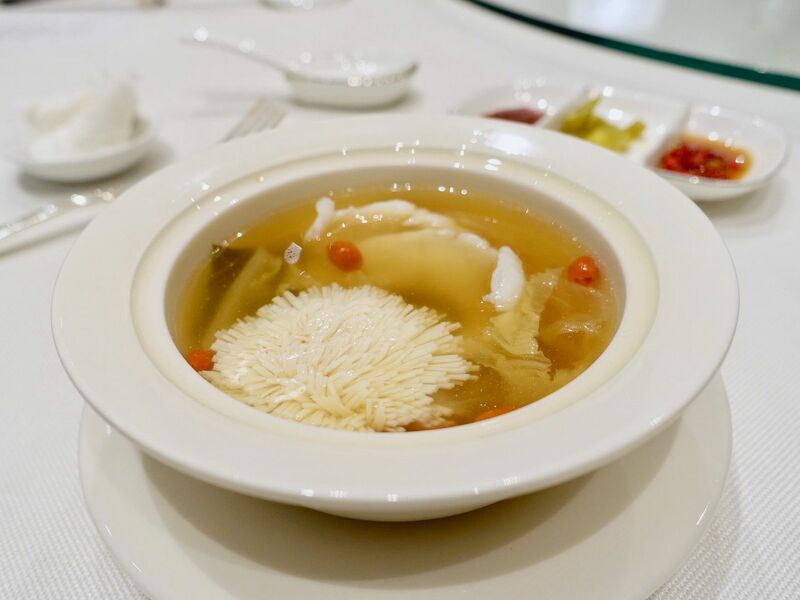 Other than the usual lunch and dinner offerings, Jade Restaurant also has an a la carte Weekend Dim Sum Buffet (which i'll tell you more about). I will willingly devour the Crispy Roasted Pork Belly ($14/pax or $29/portion) whole. Think lovely crunchy crackling and perfect ratio of buttery fats and firm savory meat that has been marinated with five-spice powder; the flavor is en pointe. 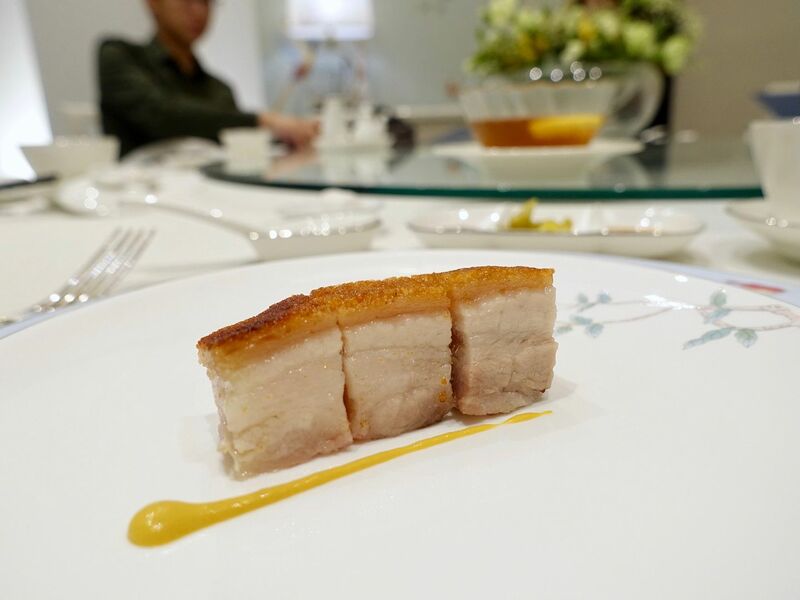 Love char siew? How about a Baked Lemongrass Char Siew Lamb Rib Loin ($23/pax). Trust me you wouldn't even know it's lamb unless you're super sensitive to this meat. 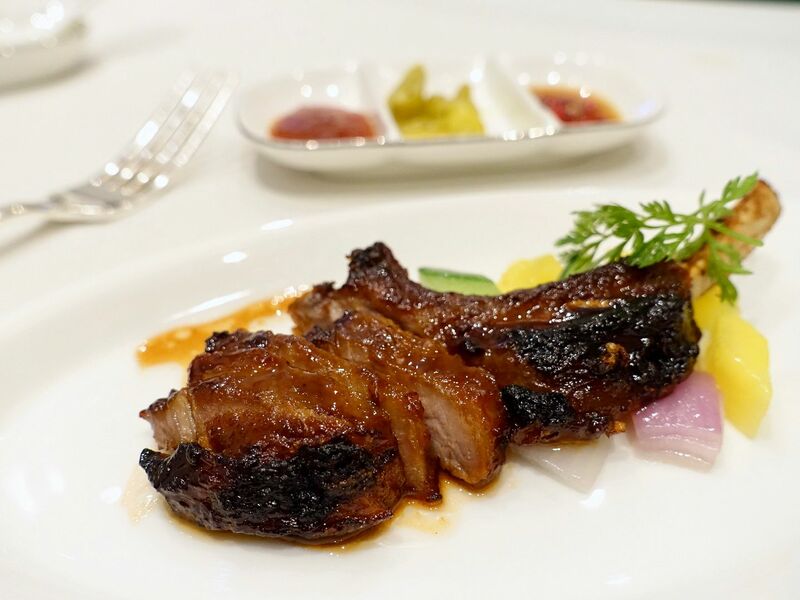 Very tender meat on bone, with a caramelized sauce made with bruised lemongrass, sugar, rose wine, fermented bean sauce and dark soy sauce, this rib is finger-licking good. A highlight at Jade Restaurant is their soups! Their Soup of the day ($13/pax) is cooked for 3+ hours for that goodness to be infused into the broth. We had a sliced fish with tofu flower, konbu, and ham in a pork and chicken broth. Yes that tofu flower is manually knife-cut by chef and it floats gracefully in the broth. 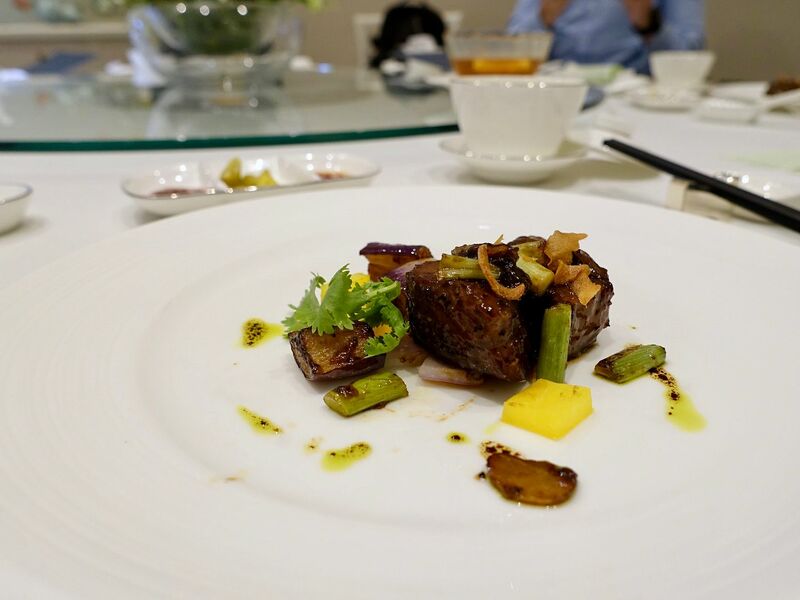 One of the Eight Treasures is the Sautéed Japanese Wagyu Beef Tenderloin with Crispy Garlic in Black Pepper Sauce ($23/pax, $47/portion). The melt-in-your-mouth beef cubes provides a buttery jus that balances the slight heat from the pepper. I also loved the crunch from the garlic and the fragrance it lent to each bite. A must order is the Simmered Egg Noodle with Boston Lobster and X.O. Chilli Sauce ($39/pax). 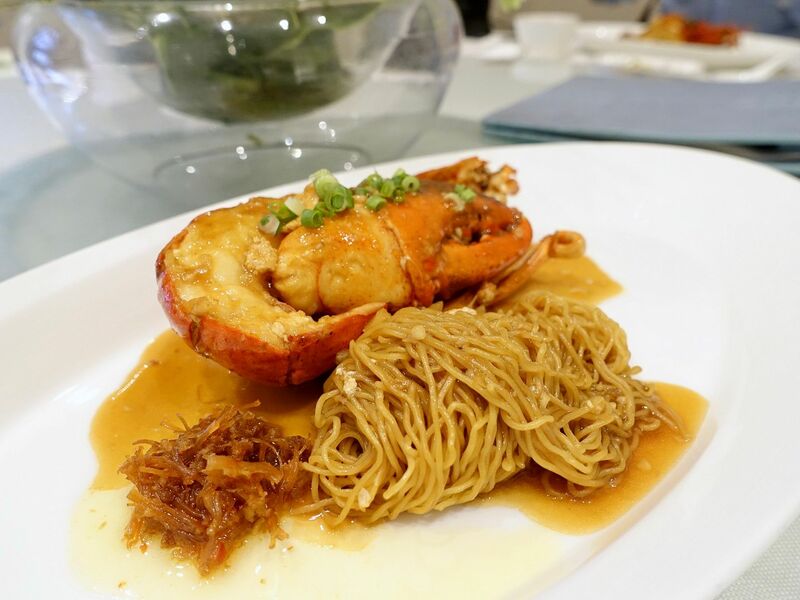 This Hokkien-noodle inspired dish uses the same core ingredients of pork lard, cabbage and dark soy sauce in preparing the lobster and noodles. The star however, is the noodles! The Hong Kong imported noodles are first deep-fried, then simmered with prawn head oil, pork lard, garlic, light and dark soya sauce for the burst of umami. It's even better with the special X.O. sauce! The lobster is great, but the noodles are out of this world. I'd order them on their own! 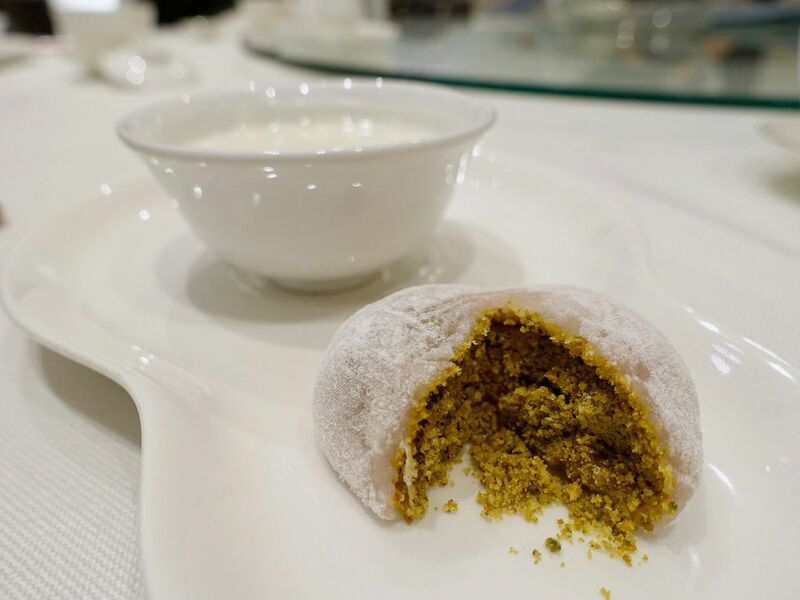 For desserts, i'm a huge fan of their Pistachio “Muah Chee” ($8/2pc). That light chewy muah chee is ethereal. Good quality green pistachio nuts are first roasted, blended till fine, before granulated sugar are added to make the fragrant filling. I found myself finishing at least half a bowl of the Almond Paste with Poached Egg White and guess what? I'm not even a fan of the Chinese almonds but i couldn't help myself with Jade's premium almond cream as the taste isn't overpowering. 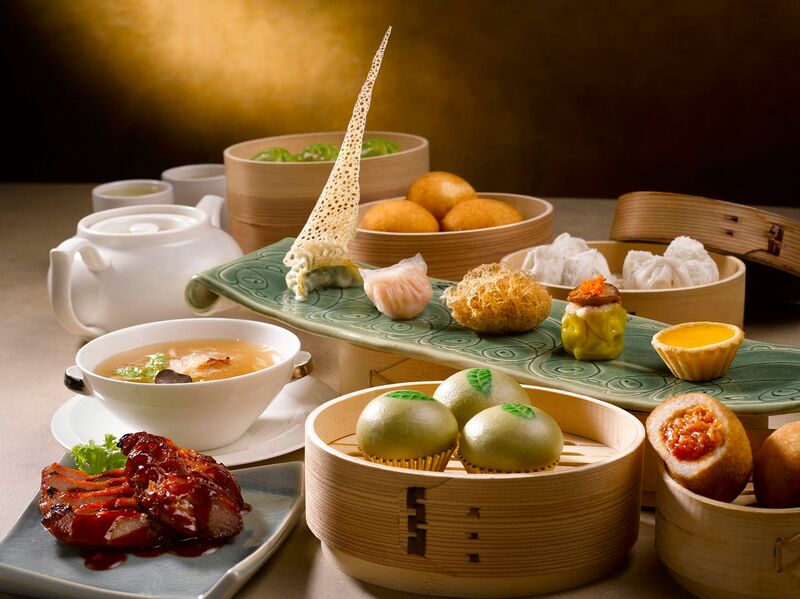 Jade also has a highly affordable Weekend Dimsum Buffet which only costs $39/pax. We sampled 2 items from the list during the tasting, which are the Steamed Osmanthus Char Siew Pau ($5.80/2pcs) and the Chilli Crab Mantou ($7.20/piece). 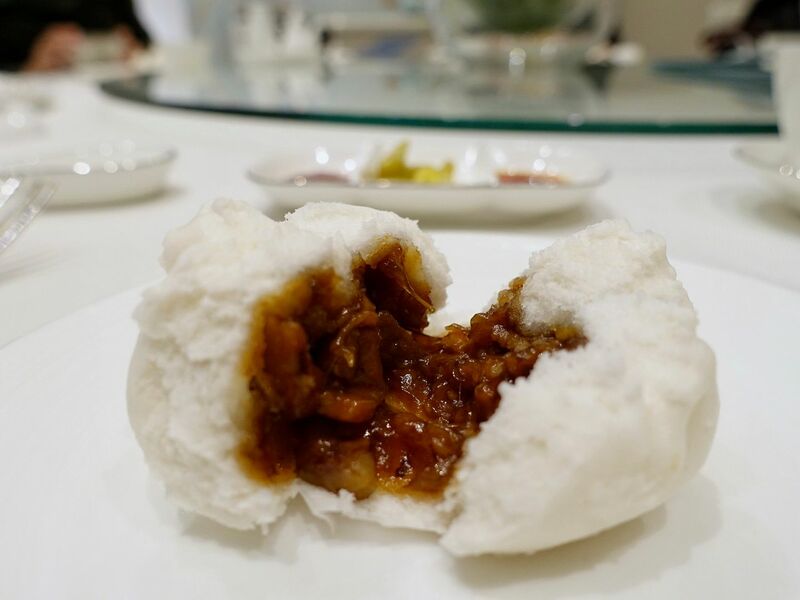 The char siew bun was a highlight during the tasting- the pork is cooked with honey and osmanthus flower and that provided the bun with a light floral sweetness. However, when i sampled it at during the a la carte buffet, i failed to detect the floral hint and the bun was more dense and sticky. 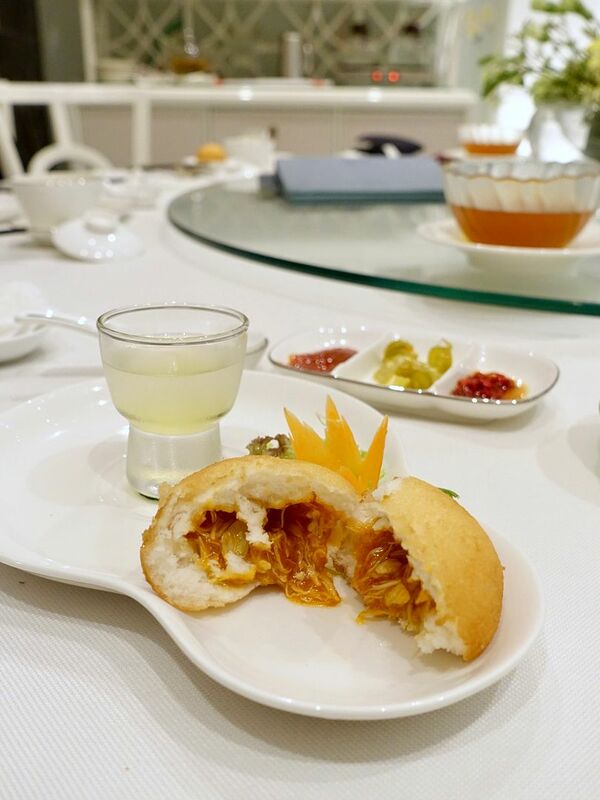 The Chilli Crab Mantou ($7.20/piece) is a great way to enjoy this local favorite dish fuss-free. The lightly crisped bun gives way to a tart-spicy sauce packed with silvers of crab meat. This item is limited to 1 per pax during the buffet. When you order it on its own, it is served with a refreshing palate cleanser of cold lemongrass tea with calamansi jelly. 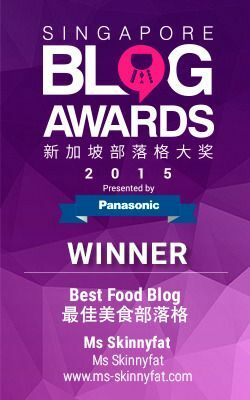 The good thing about Jade's dimsum is that for most dimsum items, you get to place your order by pieces! Say goodbye to paiseh pieces and hello to more tummy space for a variety of bites. Definitely have the har gow, siew mai, pork belly (it tasted as good as during the tasting), soups (limited to one order each and the Bird's nest and truffle in superior broth is yums), carrot cake, and mini egg tart. I'd skip the matcha custard bao (it was not flowy at all). The Kung Pow chicken was also off in terms of the seasoning. There are also other hot appetizers and mains to order from. The prawn balls in wasabi mayonnaise is one of the Eight Treasures and is also on the buffet menu. Definitely order this. For carbs, we tried the lobster congee (bland), and fish hor fun (meh). Perhaps order the egg noodles with duck (nobody wanted to try that so i couldn't taste it), or the fried rice. The daily desserts we had was decent (i enjoyed the mango sago). The food took a while to arrive so make sure you place most (if not all) of your orders at the start. It may be a little rushed, especially if you're the sort who have the capacity to try every single dish. 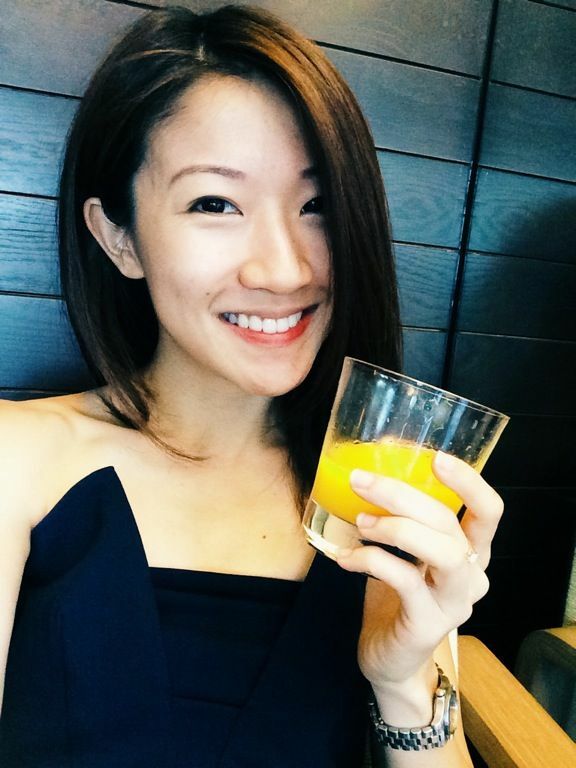 Check out the Jade experience for yourself at Fullerton Hotel. Gorgeous food in a gorgeous setting. Make your booking right now.